Our pupils have the opportunity to learn how to prepare healthy meals at our school. Healthy eating habits is one of the most important life skills we can teach our children, and the earlier we start, the better. 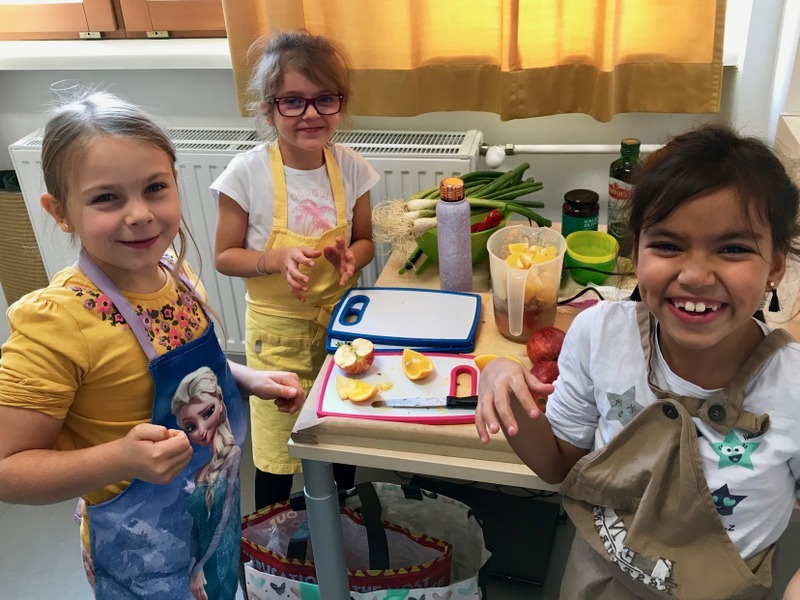 Our cooking lessons are a great opportunity to help our pupils have an experience of different cultures and countries, rather than just hearing about it. Our cooking lessons are fun and messy, but it’s fun! This is a great way to teach our pupils about good nutrition, learn about seasonal fruits and vegetables, preparing meals and reading food labels. Most importantly it encourages them to eat healthy meals and be more adventurous in tasting new flavours.